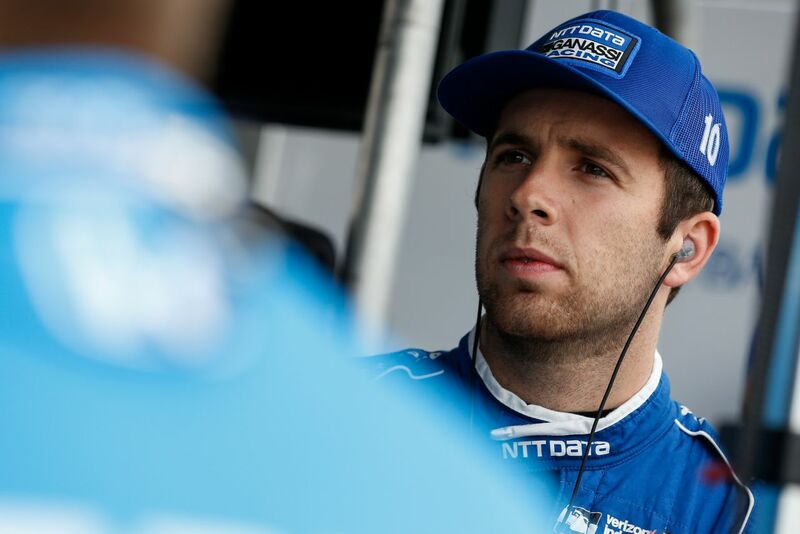 Ed Jones fought hard to tally the fifth top ten finish of his sophomore Verizon IndyCar Series campaign at Texas Motor Speedway last weekend (8/9 June), continuing a positive recent run for the talented Dubai, UAE-born ace at the fiercely-disputed pinnacle of US open-wheel competition. Jones travelled to the 1.5-mile, high-banked superspeedway buoyed by a brilliant rostrum result on the streets of Detroit a week earlier. 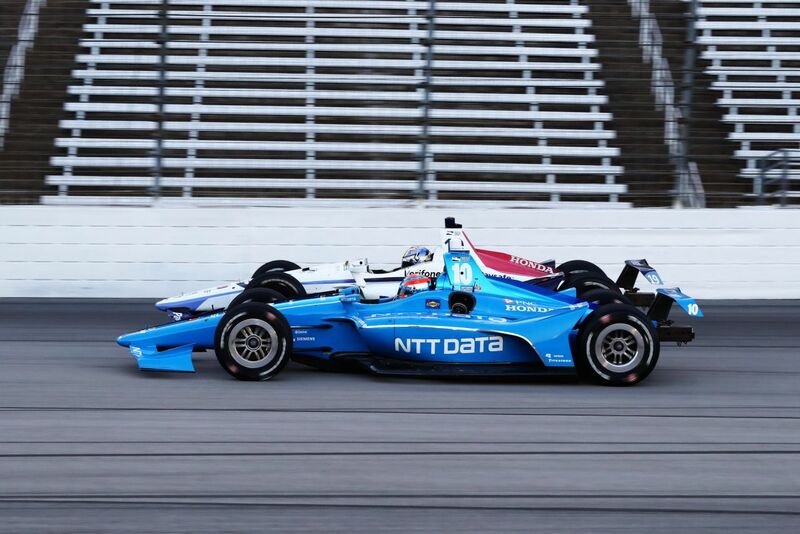 The Chip Ganassi Racing star lapped tenth-quickest amongst the 22 high-calibre protagonists in the first free practice session, before conquering sweltering midday conditions – with the track temperature surpassing 130 degrees Fahrenheit – to average 218.120mph in qualifying. That was sufficient to put the No.10 NTT DATA car 13th on the grid for the following evening’s 248-lap DXC Technology 600 – the third of six oval races on the 2018 IndyCar calendar and the midway point of the season – barely a tenth-of-a-second-a-lap adrift of four-time title-winning team-mate Scott Dixon. 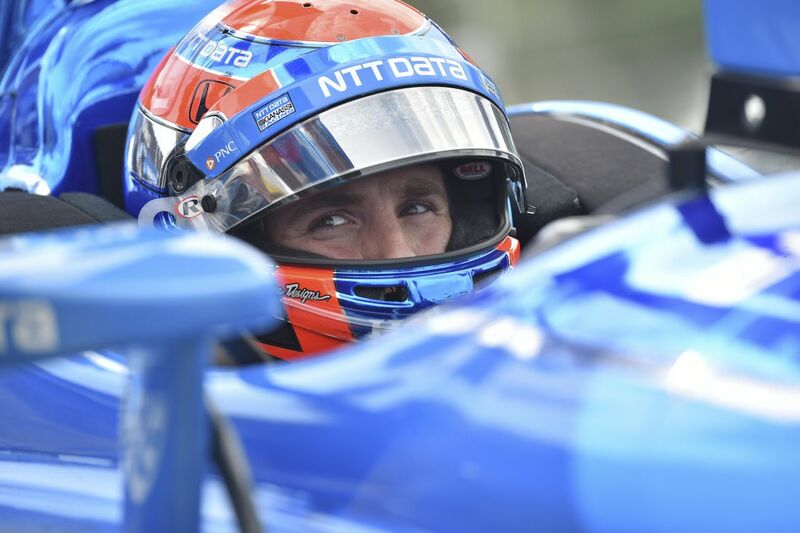 Jones improved to ninth in night-time final practice – posting the fourth-fastest non-tow speed, which calculates outright pace – but when the race blasted into life under the Texas spotlights, he initially found himself struggling for balance behind the wheel of his 720bhp Dallara-Honda single-seater. 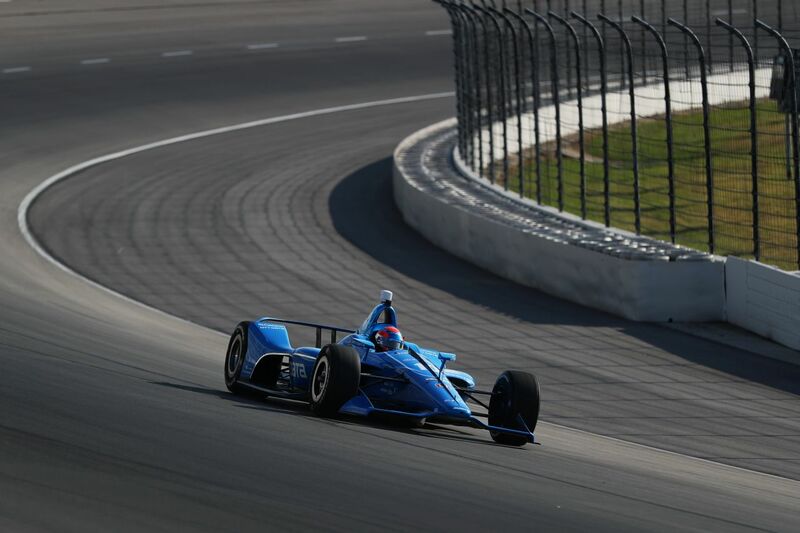 That prompted an earlier-than-scheduled first pit-stop to make several tweaks to the wing, which dropped the 2016 Indy Lights Champion and 2017 IndyCar ‘Rookie of the Year’ to the very foot of the top 20. He pitted again on lap 71 for an air pressure adjustment, but progressively battled his way back through the field and even briefly hit the front just past half-distance – one of only seven drivers to lead a lap – before making his third pit visit. By lap 138, Jones was the quickest driver on the track and he was running inside the top ten when the yellow flags flew once more on lap 173 for a two-car accident. The 23-year-old Brit rose as high as seventh in the closing stages, but a drive-through penalty for inadvertently jumping the re-start – one of three competitors to fall foul of the officials in that respect – restricted him to ninth at the chequered flag. 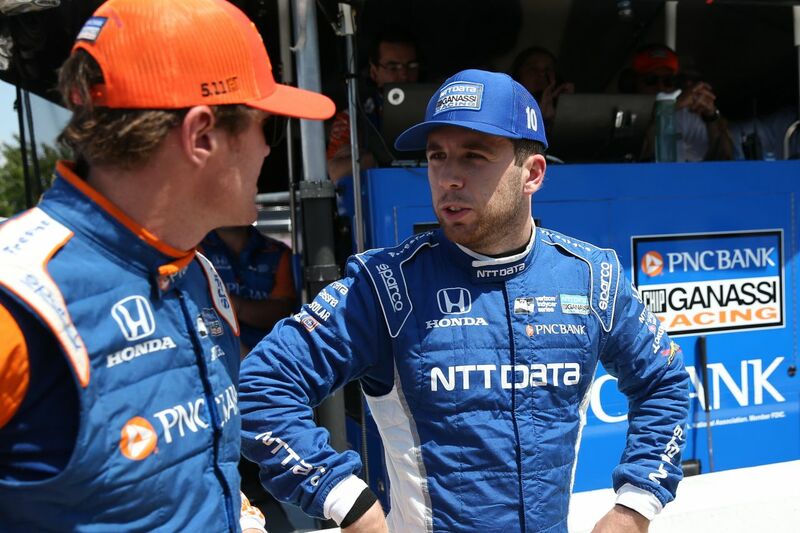 That nevertheless secured Jones another solid points haul to consolidate his grasp on 12th spot in the overall standings ahead of the next outing on 23/24 June – the KOHLER Grand Prix at Road America in Elkhart Lake, Wisconsin, where last year, he finished a highly competitive seventh. 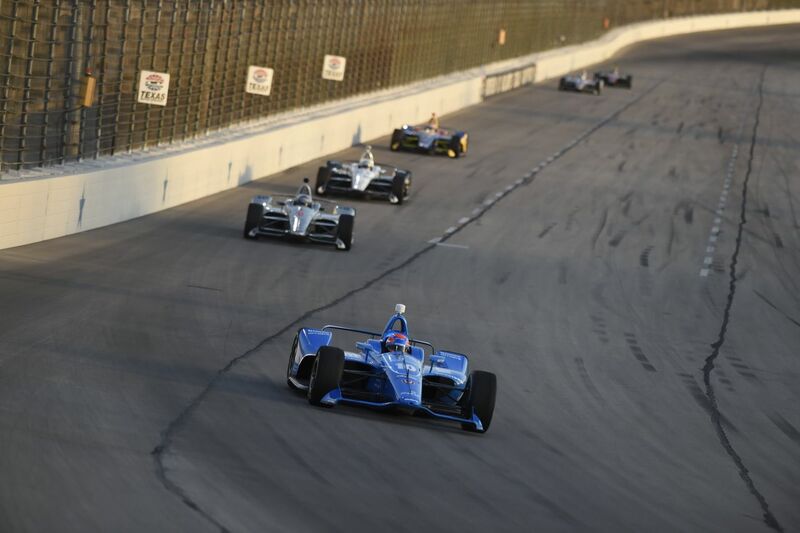 “I always love going to Texas Motor Speedway,” enthused the former European F3 Open Champion, who is being coached by multiple IndyCar title-holder and Indy 500 winner Dario Franchitti. 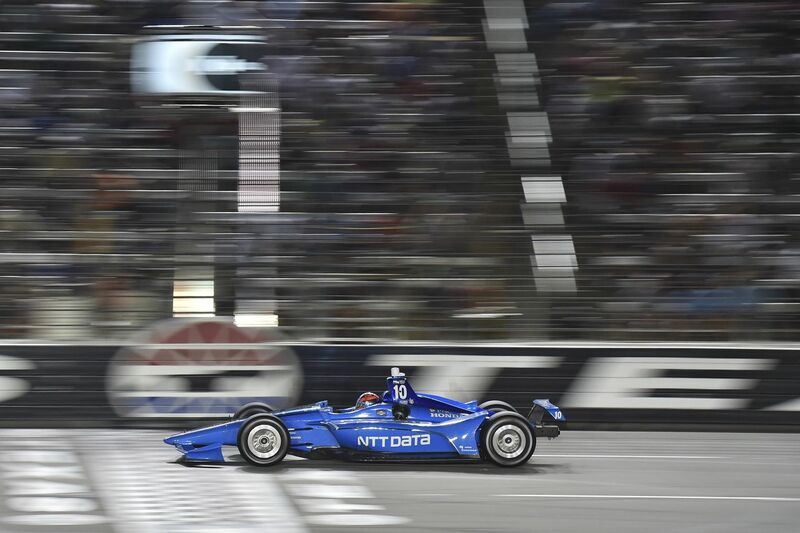 “It was a big event for our sponsor NTT DATA, and we wanted to put on a great show to give them something to cheer about. Huge thanks to everyone for coming along – they’re an amazing group of people and I’m proud to represent them. “The weekend was a bit different this year, with the change in the amount of downforce we have available. The conditions were a little difficult on the first day too, but I was happy with the NTT DATA car and whilst we just missed the balance slightly in qualifying, we were nonetheless in a good place to go racing. “Unfortunately, in the opening stint, we were still struggling with the balance and that cost us a lot of ground. At the first two pit-stops, we were able to improve the car and we ran really strongly in the middle phase, only for a drive-through penalty and badly-timed yellow to set us back again. It was a tough race, but considering the issues we had, I think we should be pleased to come away with ninth. Congratulations to my team-mate Scott for the win.